See what all the buzz is about and start your own hunting expedition. 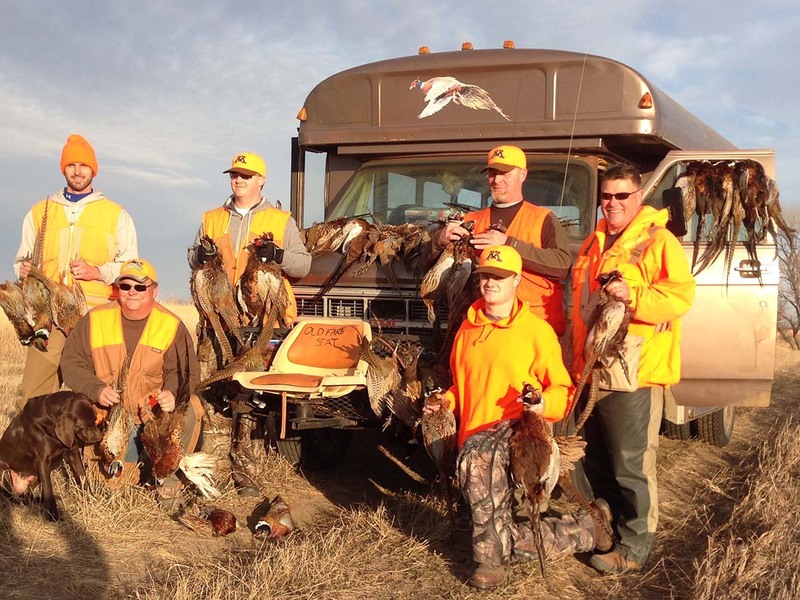 South Dakota Pheasant Acres is the most professionally run pheasant hunting service I have used. The staff is fantastic and most importantly great hunting. COO , Lumber One, Avon Inc.
South Dakota Pheasant Acres’ staff is second to none. The facilities and land are world class. An excellent venue for continuing education training! Great area to hunt with very talented and friendly guides and staff. Definitely one of the best hunting experiences that I have ever had. I’ve pheasant hunted here several occasions over the past years and would recommend them to anyone looking for a great experience. The location, the people, the hunt and the food has always been excellent. South Dakota Pheasant Acres is truly a unique and incredible place on Earth! The quality and quantity of birds is amazing, the habitat, the food plots and “hunt-ability” of the property is truly “Top Shelf”. Thank you to Marty and his exceptional staff and guides for an outstanding hunt and Team building experience – not to mention that incredible brisket!! South Dakota Pheasant Acres has helped me host an outstanding two-day conference that had excellent meeting facilities, catered meals, and first-class pheasant hunting. South Dakota Pheasant Acres is by far the best pheasant hunt I’ve ever experienced. Marty and the staff were incredible. Habitat, guides, dogs food and amenities were first class. Great for social groups and team building. Had a blast trap shooting Annie Oakley style. South Dakota Pheasant Acres delivers on a world-class pheasant hunting experience. Great staff and endless habitat. Every time I leave I am thinking how thinking how and when I can get back!